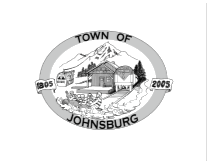 To provide a fair and equitable assessment of each and every property within the Town of Johnsburg. To accomplish this the following resources are used – Tax Maps, Deeds of Record & Surveys, Geographic Information System, Sale/Transfer Records, up to date Property Inventories, Photos and the NYS RPS computerized real property information and valuation system. · Determine and maintain assessments, property inventory records, maps, ownership and exemptions on approximately 3,600 parcels. · Ensure that the assessments are based on the property's current inventory by inspecting new construction and improvements made to existing structures. · Process sales and transfers of property and maintain a sales book of properties that sold within our town. · Assist taxpayers with completing their exemption applications and determine their eligibility. · Establish a taxable value for all Real Property subject to taxation. List the values of all property on the yearly Assessment Roll. · Assist the public with general data, valuation and equity questions, exemptions and grievances. STAR Basic ~ School Tax Relief Exemption for owner-occupied primary residences for any age, income less than $500,000. Senior Citizens ~ Property Tax Exemptions for seniors 65 and over with limited income. Property must be the primary residence. Total annual income for all people residing in dwelling from all sources must be less than $32,400. This exemption requires renewal each year. Veterans ~ Property Tax Exemptions for those who served in any Branch of the Armed Forces and have been honorably discharged. Wartime and Cold war periods apply. The property must be the primary residence. Copy of DD214 (Service Record) is necessary to process application. Help us keep our records current by informing us of any changes of address. You can do this by calling or emailing the Assessor or using our online property mailing address change form. How do I check my Assessment? Assessments vs. Taxes: What’s the difference? How to Change & File a Deed? What is a Town-wide Reassessment or Revaluation?